Waxing is the epitome of the old saying “Pain is beauty” and it’s not a cheap habit. I worked at a salon that charged $10 for upper lips and $28 for bikini lines, if it wasn’t for the employee discount I would have gone to the nail salon at the mall instead. But I don’t work there anymore and I have some peach fuzz that needs taking care of so I picked up a pack of DIY wax strips to try. Today I have a both a review and a cautionary tale for ya’ll. 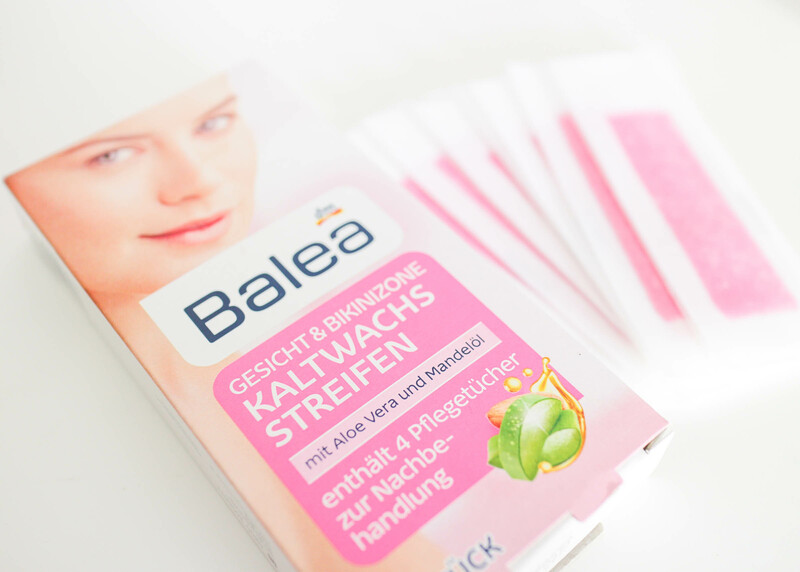 I bought these Balea Gesicht & Bikizone Kaltwachs Streifen (face and bikini zone cold wax strips) from DM for €2.95. Included are 10 wax strips and four clean up and care wipes. Personally, I don’t like that ratio and would like more clean up wipes. The wax strips look and kind of smell like strips of gum. You place one between your hands and rub them together for 30 seconds and then pull the two pieces of paper apart, so each wax strip becomes two strips. When you’re done waxing you go in with the clean up wipe to pick up any wax that was left on your skin and to soothe it a little. The first time I used these I wasn’t impressed. The strips are quite wide and left quite a bit of wax on my skin. Ok, next try. I washed my face, cleansed my skin, made sure nothing was getting between my hair and the wax and tried my upper lip. I put the strip down, pressed it down in the direction hair grows, and ripped it off in the opposite direction. Not much came off so I tried again, and one more time. My upper lip stung and kind of burned but my lips have always been the most sensitive when waxing. NOTE: It is NOT recommended to wax over an area more than three times! Just use tweezers after that! I worked at a waxing salon, I should know! And then I got out of the shower and saw this. Right on the edge of my lip line and covered in vaseline. Yup. I waxed my lip off. 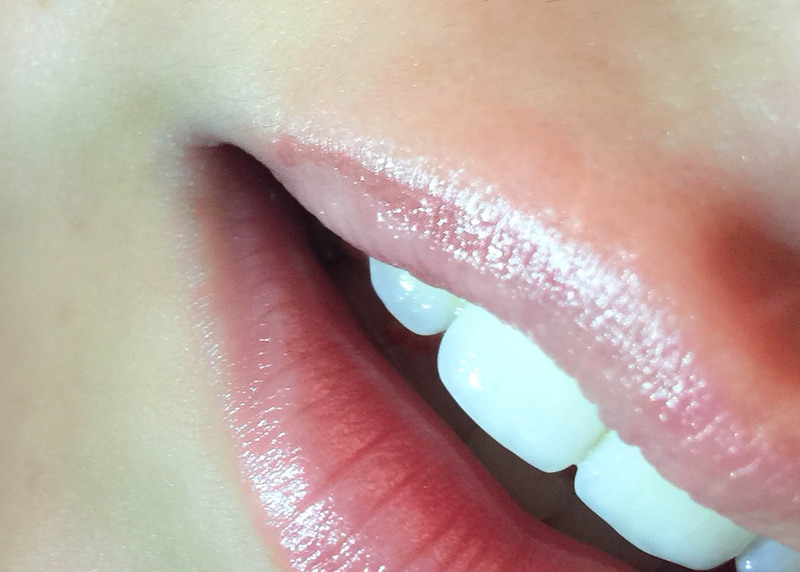 The strips are wide, I was careless for a few seconds, and caught a piece of my lip on the wax. So I guess these wax strips do kind of work haha. It stung something bad the rest of the night and I immediately texted my old co-worker and close friend: “I WAXED MY LIP OFF! WHAT DO I DO? !” None of the products she recommended are available in Germany, let alone at 9:30 p.m. but my boyfriend did hand me some expensive Bayer creme which eased the stinging. TGIF right? Saturday I could hide it with my MAC lipstick in MAC Red. Sunday, the picture above, it scabbed and I only used vaseline to keep it soft. Today is Tuesday and my lip is almost back to normal. The area is missing the creases of the rest of my lips but at least I have no extra texture and no extra color. So in conclusion, the strips kind of work. They did an ok job on the bikini line but in that regard I found the strips too narrow and you might as well buy a box of strips solely designated for the bikini zone. For my face though, I think I’ll stick to Tinkle Razors (a.k.a. eyebrow shapers). This entry was posted in Reviews and tagged Balea, beauty, cold wax, DIY wax strips, wax strips, waxing. Bookmark the permalink.